Also serving communities of Oberlin. To help you with your search, browse the 1 review below for assisted living facilities in Wellington. On average, consumers rate assisted living in Wellington 5.0 out of 5 stars. Wellington is a friendly rural community in Ohio that hosts a number of large events each year, including the Lorain County Fair, the second largest county fair in Ohio, and the Ohio Scottish Games. Wellington has two assisted living facilities, with another four in the nearby communities of Oberlin and Elyria. 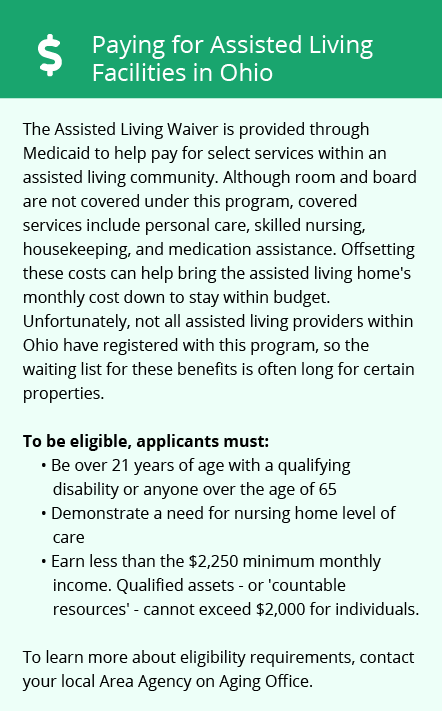 Assisted living facilities in Wellington are licensed by the Ohio Department of Health. Facilities have different licenses depending on the number of residents and their level of care, and each has regular, unannounced inspections. At each type of facility, staff help residents with daily activities, personal care, and medication management. Ohio does not tax social security retirement income, leaving seniors with more money in their assisted living budget. Income from pensions and retirement funds are taxed, though seniors may be eligible for tax credits. Sales taxes in Ohio are slightly higher than the national average. Loraine County offers transportation services to take seniors to medical appointments. Lorain County, including Wellington, has a vibrant arts scene, and every year Wellington hosts the Harvest of the Arts in the town square. Some assisted living facilities may arrange visits to the many events in Wellington, including the Gazebo Garden Tour or Friday Concerts in the Park. The cost of living in Wellington is around 11 percent cheaper than the national average. However, seniors will find the cost of groceries and health care higher than other parts of Ohio. The Wellington area has no facilities from which to choose in the event of a medical emergency or illness, with the nearest major hospital located in Oberlin. The weather in Wellington is cold and snowy. There is an average of 43 inches of snow each year and only 164 days of sunshine, making it difficult for seniors who enjoy spending time outdoors. The average January low is 18 degrees, and in July the high is around 83. Assisted Living costs in Wellington start around $0 per month on average, while the nationwide average cost of assisted living is $4,000 per month, according to the latest figures from Genworth’s Cost of Care Survey. The Assisted Living Program offers financial assistance to eleibible seniors in assisted living facilities. Residents who receive Social Security income may also be eligible to receive the Optional State Supplement. To see a list of free assisted living resources in Wellington, please visit our Assisted Living in Ohio page. 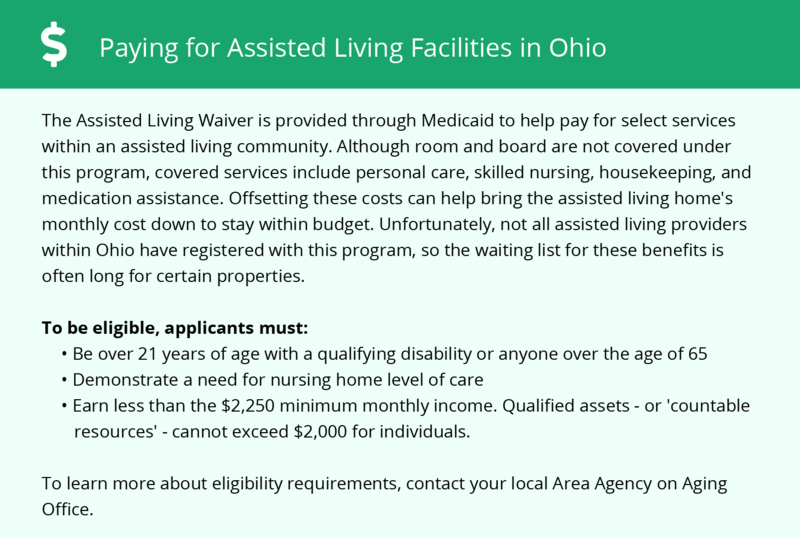 Wellington-area assisted living communities must adhere to the comprehensive set of state laws and regulations that all assisted living communities in Ohio are required to follow. Visit our Assisted Living in Ohio page for more information about these laws.